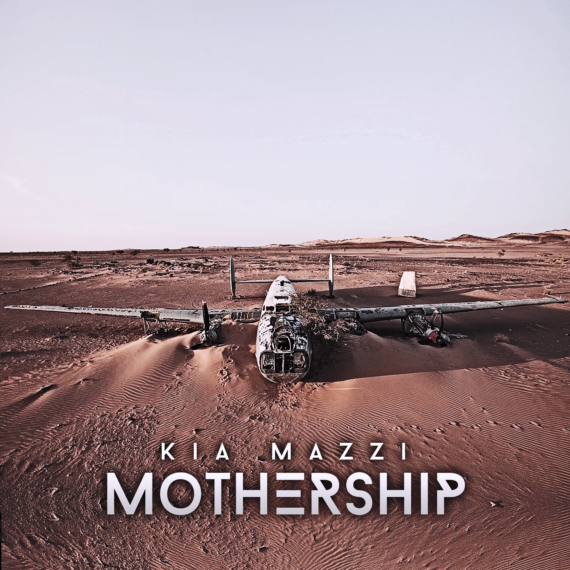 Kia Mazzi’s debut album Mothership explores many different directions within electronic music. Upon its release, Kia was recently interviewed by publications such as Mixmag, Magnetic Magazine and others. Time for us to ask him some questions about the background of the album and his career as a musician! Your music has many influences. Name one artist who inspired you most. I’d have to say Jean Michel Jarre for sure. You recently released your debut album Mothership. Could you tell a little bit more about your favorite three songs from the album? I see this album is a complete thought. To me the whole album is single. Though it has a different story in every track, they all have a relation to each other. I designed each of the tracks to lead to the next. My focus is working on my live performance and making sure that I can reproduce Mothership live on stage at a high level. I’ll be releasing dates shortly, my plan is going out on the road for most of 2018. When you start a song, what do you begin with? During your producing career, you started with software, but ultimately became a fan of hardware. Tell us something about your most favorite hardware instrument. minmoog Voyager is probably my favorite Synth, just the way it sounds warm & natural makes it very hard not to mention. Your Shadow is a beautiful vocal track. Are there plans to work on more material with Kodey Brims, the vocalist on that track? We worked on 2 tracks with Kodey which she Songwriting & vocals on track “Machine” as well but no other plans. You cherish your independence as an artist, but if you could name one label you’d like to work together with, which one would it be and why? Interesting question! The majority of the labels are genre specific so that limits most of the ones I love! When you fly out on your mothership, what are you seeking to discover? Anything & Everything, it’s a world of design with no limits just reaching for purity with composure. I’m very excited about this album Mothership. I made it independently at my own studio. For me, it’s a great accomplishment finishing an album and be able to tell my story through the material. For right now my focus is working on my live performance and making sure that I can reproduce Mothership live on stage at a high level. I’ll be releasing dates shortly, my plan is going out on the road for most of 2018. Kia Mazzi is an Iranian born local musician from Boston US, who’s work circumnavigates the depths of Electronica, Indie Dance & Progressive House. Originally inspired by Jean Michel Jarre, Mazzi’s a slave to great sound design. He employs a wide array of hardware synths from his personal collection alongside “Reason” to write melodies that are memorable and rhythms that are danceable, His sound has a textured worldly quality to it that is distinct yet not easily put into a simple category. With his First single “Trilogy” which released on Columns of Knowledge alongside following EP release on Paper Pagoda & the High Frequency nights he co-founded, He Performed with Artists like: Infected Mushroom – SigmaUK – Rusko – Lazy Rich – Sharooz – Revolvr – Leon Bolier – Randy Seidman – Joe Bermudez. Having Had Residencies at clubs such as Venu, Rumor(Icon), Splash & Rise After Hours. Mazzi’s is back with new album “Mothership” out now! The post KIA MAZZI: I SEE MY ALBUM MOTHERSHIP AS ONE COMPLETE THOUGHT (INTERVIEW) appeared first on Hammarica. ADAM BEYER DOES MC HAMMER – CAN’T TECH THIS? AFROJACK STUCK IN A BLIZZARD? CHECK THE DETAILS!